Sustained business growth doesn’t just happen overnight. It is always carefully planned and requires meticulous preparation, detailed insights, and financial forecasting expertise. By analysing the past and current state of your financial affairs, a good management accountant creates accurate and meaningful financial forecasts. These act as a real-time benchmark for the growth and financial health of your business. While this may seem obvious, many businesses either find it difficult to compile accurate financial forecasts or, even worse, disregard them altogether. 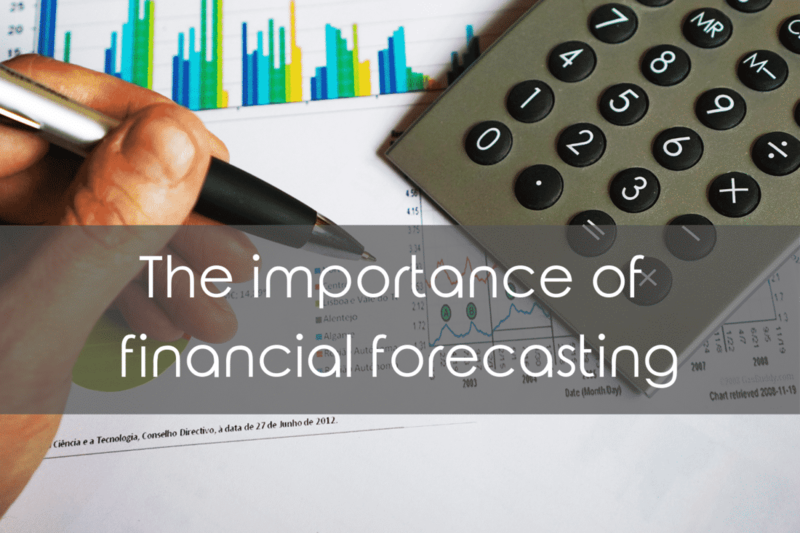 In this blog, we address some of the most important elements of a financial forecast, and the value it adds to your business. Do you need a financial forecast? Do you regularly face unanticipated cashflow shortages or lack confidence in your financial position? Does your business struggle to plan ahead? If these are questions that resonate with your business, then it’s time to act. A financial forecast gives your business access to uniform and cohesive reports. This allows you to establish business goals that are both realistic and feasible. It also gives you valuable insights into the way your business performed in the past and the way it will compare in the future. It ensures that difficult management decisions are built upon solid financial figures, without compromising the financial integrity of your organisation. Above all, it gives you peace of mind in the financial stability of your business. A financial forecast always starts with a deep understanding of how finances work for your business. This includes a drill-down analysis of cashflows, incoming revenue streams, debts, potential threats, and market shifts, to name just a few. At the most basic level, a financial forecast predicts the state of your business finances. This gives you the opportunity to measure actual progress and anticipate potential problems before they arise. As a result, financial forecasting also influences your budget and help you identify, set, and hopefully meet your most important business goals. This is especially relevant for businesses undergoing significant structural changes or experiencing rapid growth. These elements have a huge impact on future cashflows and the overall financial performance of your business. Crucially, you should always be aware of the different factors that influence your future cashflows, even when business is booming. These may be things you are either unequipped for or unfamiliar with. That’s why we recommend enlisting the services of an experienced management accountant. For more information, we recommend this blog on the top 5 ways a management accountant saves your business money. Setting a financial forecast is difficult, especially because elements of your business finances can change overnight. Furthermore, your forecast must consider external factors, as well as internal ones. These tricky elements often mean that a financial forecast is a specialist skill better outsourced, especially for smaller businesses who lack financial expertise. Financial Forecasting is also difficult for newly established businesses, or for those that don’t have accurate financial analysis frameworks in place. As a result, constant adjustments and an awareness of changing dynamics is just as important as creating the forecast in the first place. A good financial forecast informs the rest of your business strategy, so your decisions are based on facts, numbers, and accurate projections. A good financial forecast is not just an investment in the longevity of your business. It’s also a sign that you’re approaching your finances from the right perspective. Understanding the various elements that impact your business is vital if you are to make the right decisions and investments. Following a hunch, relying on guesswork or taking a gamble with your business simply isn’t a good option. Contact Alpha Financials for more information about our accounting services and our financial forecasting experience.